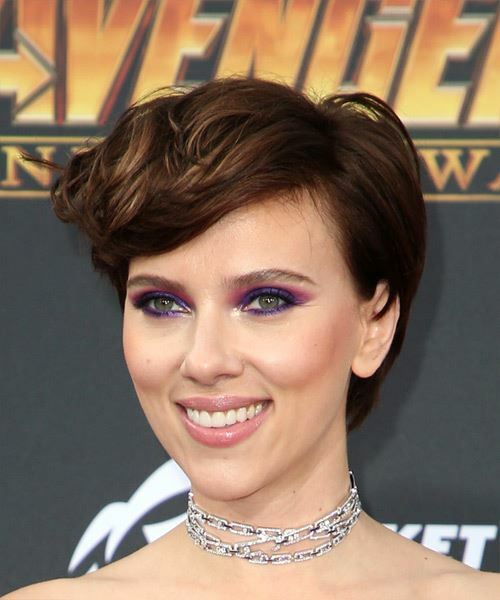 Scarlett Johansson has vamped up her short, layered hairstyle here with a fantastic shade of brunette and large, voluminous curls. She is looking fabulous here in a short layered â€˜do that is high on texture, volume and body. This hairstyle looks great on her triangular-shaped face but would also suit round, oval, square, heart, and triangular shaped faces as well. 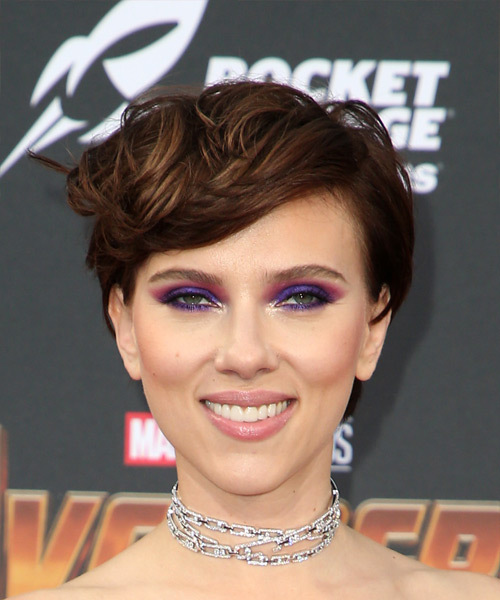 Scarlett has kept her curls in tact here for added volume and shape at the crown that shows off her stunning facial features.